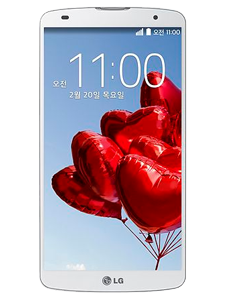 Following the current trend of increasing the size of smartphones, in February South Korea’s LG presented their new model LG G PRO 2, successor to the LG G PRO. Now with a larger and full of new features and enhancements that are committed to compete in the phablets market, currently dominated by Samsung Note range, because analysts expect this market to multiply six times by 2018. As for the new features and improvements, this LG G PRO 2 is quite satisfactory, especially considering that the previous model was a considerable disappointment. This phablet stands out because it is lighter than its predecessor (172g), and has a sharp resolution, despite having a 5.9-inch IPS screen Full HD (higher than the Samsung Galaxy Note 3). Also, it has a Qualcomm Snapdragon 800 processor, 2.2 GHz, 3 GB RAM; 3,200 mAh removable battery; KnockOn function to turn on the screen easily; front camera 2.1 megapixels and rear camera 13 megapixels with optical image stabilizer (OIS+), more natural and able to shoot 120FPS, HD and normal recording full 4K ultra HD video, as well as numerous improvements editing videos and pictures, for example with the Magic Focus feature, which allows you to refocus an image in a different area after taking it. 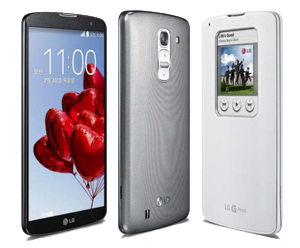 Moreover, among its other main features, LG G PRO 2 uses Android version 4.4 KitKat, the latest version of the Google operating system; it allows you, through micro SD cards, increasing the RAM 16 or 32 GB; it has port micro USB, support USB on-the-go and SlimPort to TV and connectivity through WiFi 802.11 a/b/g/n/ac, HSPA +, 4G/LTE, NFC and Bluetooth 4.0. On the negative side, it lacks an innovative design, it doesn’t have FM radio, the finish of the back cover has low adherence and is not waterproof. In short, the new LG G PRO 2 is, despite these small details, the flagship of LG, for its usability and qualitative improvement of integrated mobile camera. Download latest IOroot zip and extract it. Set phone in USB Debugging mode. Set USB mode to Charging only(this may vary based on model). Run script and follow the onscreen instructions. Windows users can hold shift key, right click in ioroot folder. Select “open command window” option. Copy/paste commands below. Hitting enter/return after each line. Linu-x/Mac users may have to enter ./ before adb on each line. USB Connection Mode needs to be toggled. How: unplug usb cable from phone then re-plug. Check if your LG G PRO 2 is rooted correctly using our app “How to ROOT”.